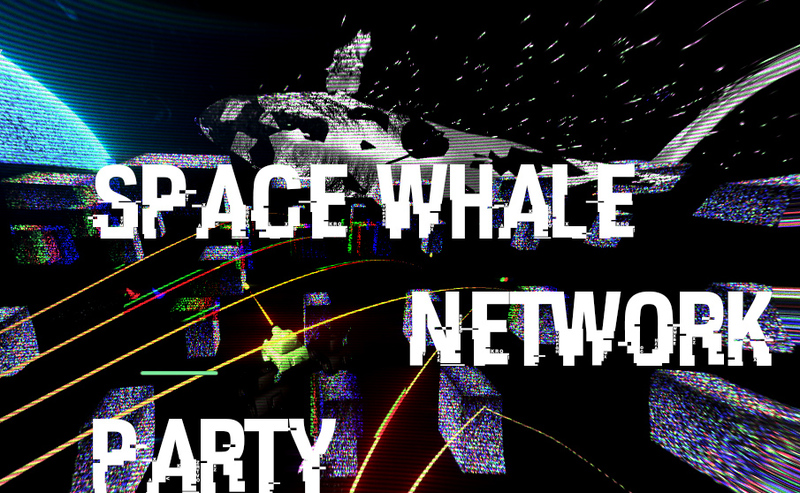 It's Party Time with Space Whales! What do space whales like to do? Party! Well, actually their parties are more like battles for dominance over parts of the universe but at least they make it look pretty! What? Did you think there would be violence? Of course not, the world is violent. So what may seem to be a party to you human, mortal scum, is really an intense duel between too god-like whales that even you can't comprehend. Be a Defender of the Space Whales! YES! Cosmic Space Whales with god-like power need troops on the ground...as sacrifices to their power, so go forth and enter a free for all as a manifestation of a human tank vehicle thing! Oh and your mini space whale overseer follows you too just to keep tabs. Have fun really! Your life is meaningless and the Cosmic Space Whales take an eternity to finish their duel, so as a human, you'd be at least 1000x dead when it concludes, so make the most out of your puny life. Even if you die, you'll just respawn endlessly. Have fun in limbo! Well technically it's a "Space Time Paradox Cosmic Event" but Limbo is a nice word so let's use it. Yes! You're trapped but at least there's fun music to listen to and some thing to do? I guess. Basically if you get bored, which of course you humans will, hit ESC and jump out of this life and back to the menus! Wait in Lobby for others to join (hopefully) or just start the game by your lonely self with "Join"
The Cosmic Space Whales Command You to Play this Game with at least 2 of your Friends. It's more fun with friends and at least you know there'll be more than one friend in your game. Why? Because lack of control is the best control. Reverse psychology? Wait. What is this even about? So I'm in a class called Experimental Games and it's all about making games that are pretty crazy so as to break from the norm. This particular game is about making a "bad game" and so I did! Kinda. Apparently the visuals are fun and it totally feels like a rave. Let your creativity flow and make something from nothing! Download now and let's party! Solo Project. Unity Engine. Unet Networked. Time Total - 20hrs. More of an experience than a game. Timothi Ellim. 2018.